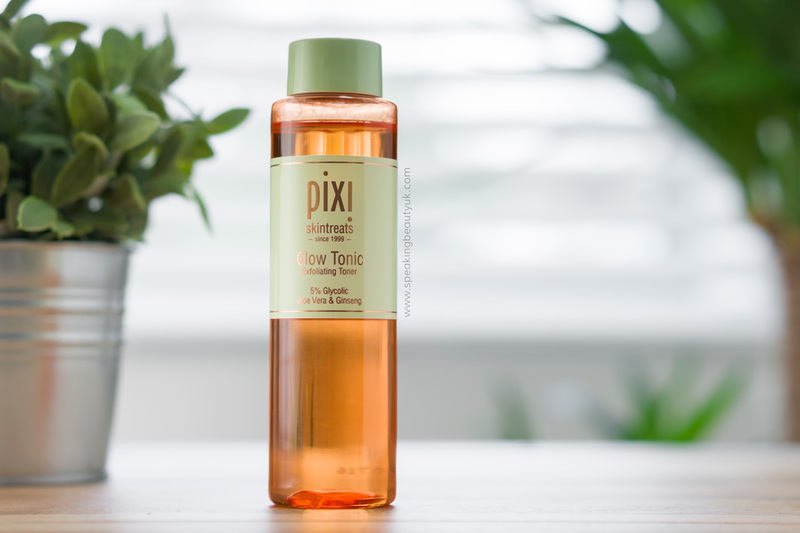 I've been tempted to try the ever so popular Pixi Glow Tonic for the longest time, especially after reading Caroline Hirons rave about it on her blog. For those who don't know her, she's a skincare expert who's now also a YouTuber. I don't follow her religiously but used to read her blog every now and then to get some tips on products and how to look after my skin better. I've learnt to trust Caroline's advice. Anyway, now things have moved on and Pixi has become widely recognised in the beauty community and their packaging has also been revamped to look more worthy of the product inside. I finally got to try the cult product that is Pixi Glow Tonic (thanks to my mother in law who kindly gifted it to me for Christmas). This exfoliating toner is armed with potent ingredients such as aloe vera, ginseng, and botanical extracts to sooth and treat the skin, while 5% glycolic acid helps renew the skin, improving skin tone and texture. It's alcohol free and very gentle on the skin. I have not experienced burning or any other reaction whatsoever. And did I mention it smells wonderful? Yes! And I think it's a natural scent, derived from the ingredients. I'm a sucker for scented skincare. I know a lot of people avoid it due to sensitive skin but I never seem to have a problem with it and in fact, will favour scented products over non scented ones. Pixi recommends to wear the Glow Tonic both AM and PM but I avoid wearing anything with acids during the day as it makes our skin more sensitive to sunlight. Although I do wear SPF most days, I prefer not to take any risks. So I wear this before bed only, applying it with a cotton pad after cleansing my skin throughly. I then follow with a face oil or serum like the Estée Lauder Advanced Night Repair. Is it a miracle worker? No. I'd say it took me about a week to start to see proper results. But once it started working, I did notice my skin softer, more glowy and although it doesn't stop spots from appearing, it seems to help them fade away quickly. So I think it's safe to say this product does what it says on the tin and I will repurchase it in the future. Exfoliating toners are a step everyone, especially those with normal to dry skin, should add to their skincare routine.